The State Fair Zinnia is a customer favorite and a State Fair winner for its jumbo 5″ flowers that bloom in a wide range of colors! This tall, robust plant produces flowers that bloom in shades of red, yellow, orange, purple, pink, white and bicolors. State Fair is disease resistant with terrific sun and heat tolerance. Zinnias are a popular flower and add a beautiful burst of color to a bouquet. 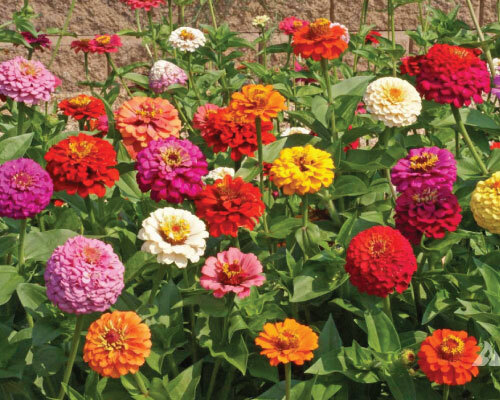 Zinnias grow in many different colors and shapes and can bloom with flowers up to 6 inches in diameter. 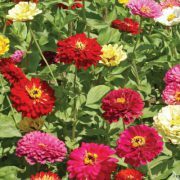 Before Planting: Zinnias are a warm-weather flower, but they don’t like to be transplanted. Plant them directly outdoors when air and soil are 70 degrees or warmer. 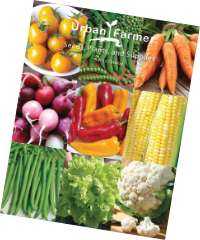 Planting: Plant seeds 1/4 inch deep and space them depending on how you want them to grow in the garden. Watering: Water Zinnias an inch a week, but make sure you don’t overwater because Zinnias are susceptible to mildew. When watering, water at the base of the plant and don’t get water on the leaves or stems. Fertilizer: Work compost into the ground where you will be planting Zinnias early in the season so the compost has time to fertilize the soil. 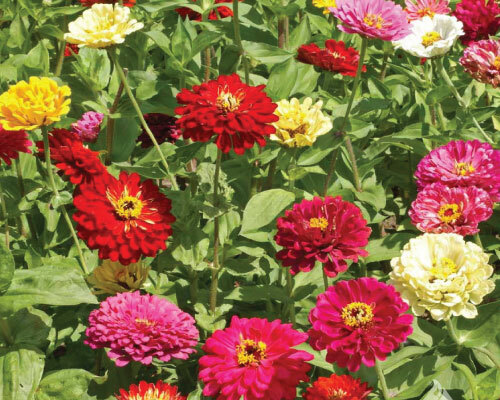 Days to Maturity: Zinnias will begin to bloom in 60-70 days after being planted. Harvesting: To use in a bouquet, cut the Zinnias above the leaves and place in a vase. More Zinnias will bloom on the stem. Tips: To produce bushier Zinnias, pinch off the top of the plants when they are young.